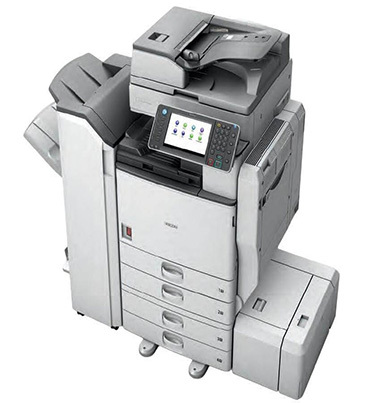 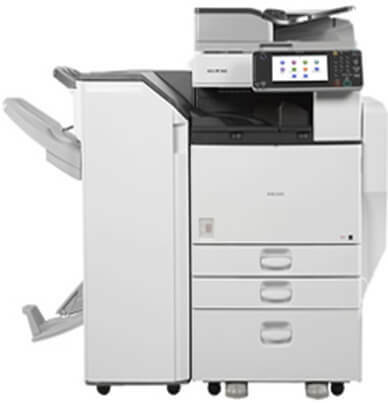 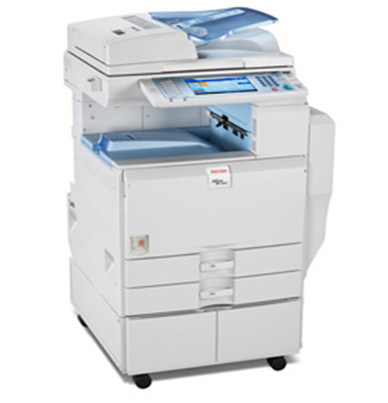 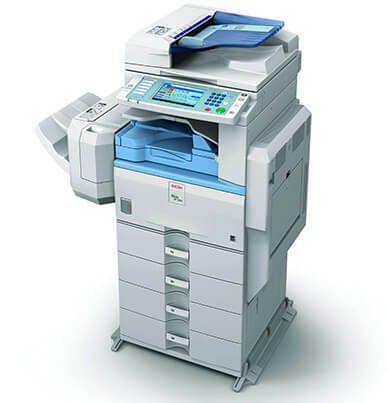 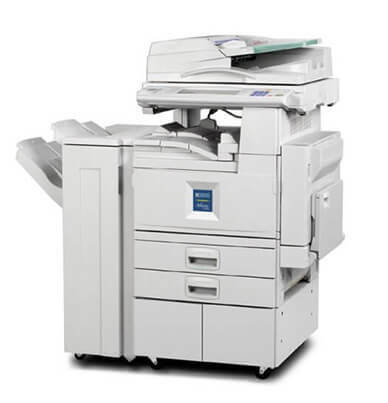 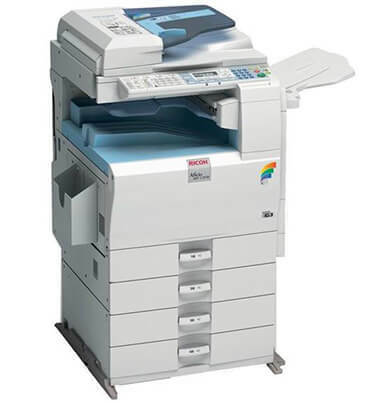 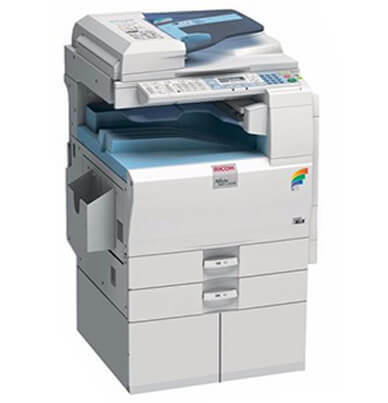 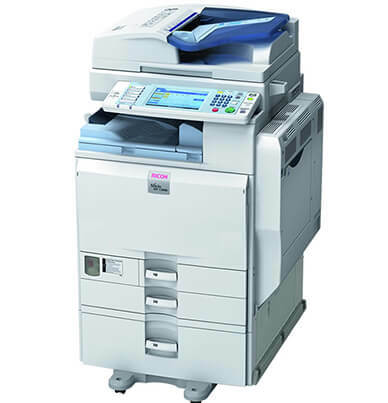 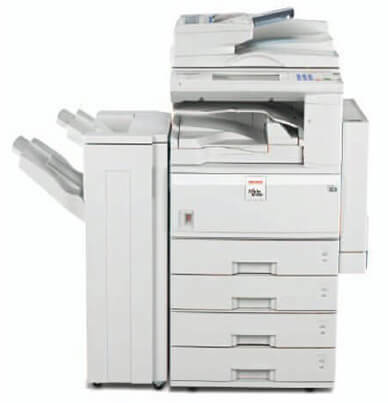 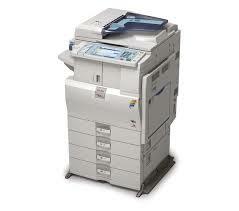 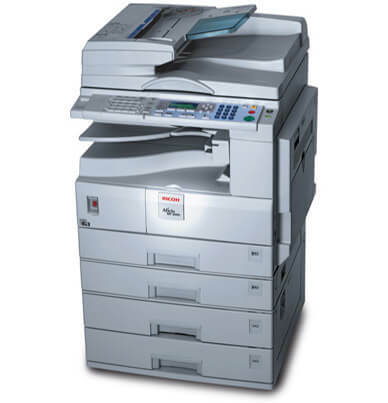 The Ricoh Aficio MP 5001 produces professional looking documents with its 600 x 600 dpi resolution. 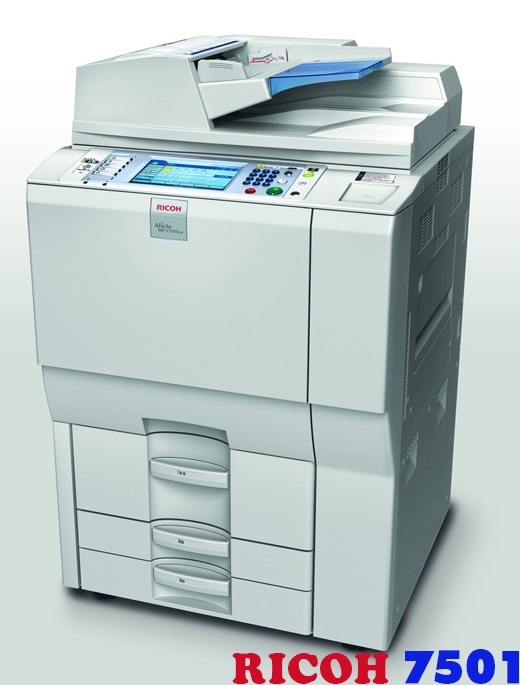 Generate letter size documents at a speed of 50 copies-per-minute. 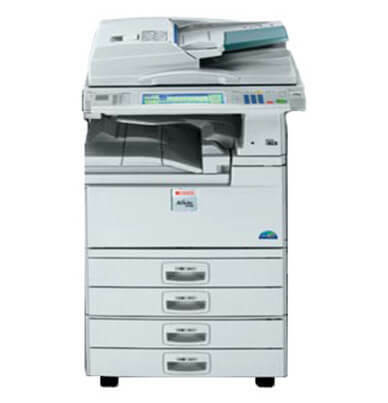 The Aficio MP 5001 768 MB RAM and a 40 GB Hard Disk Drive easily manage your office document processing demands. 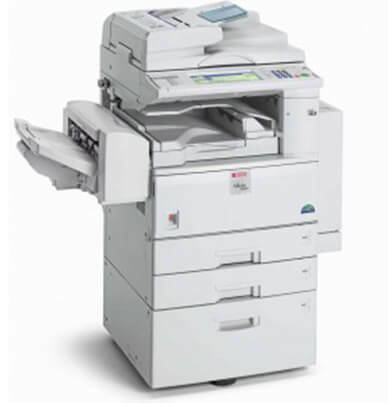 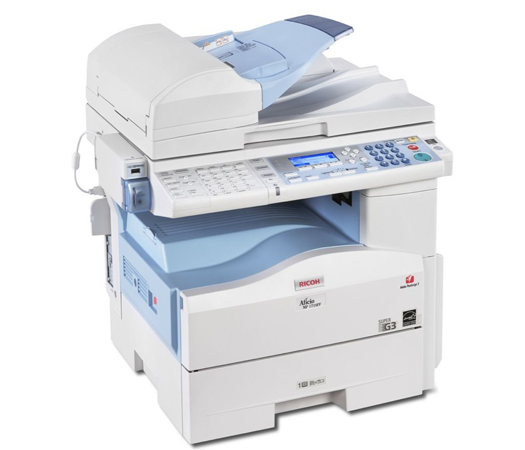 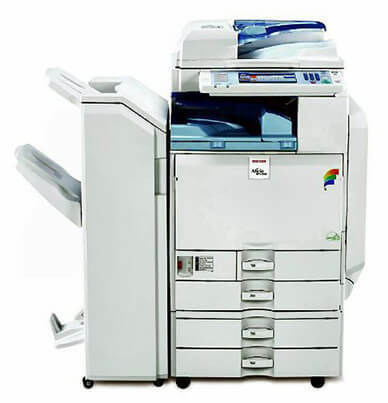 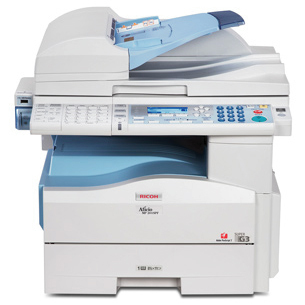 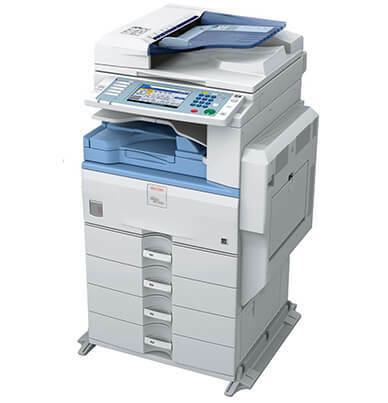 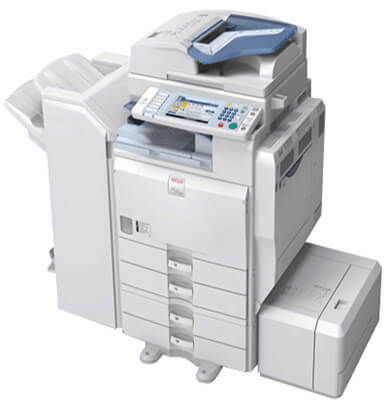 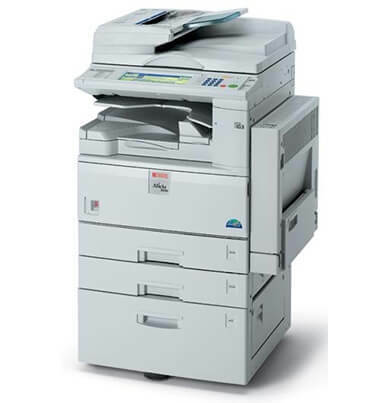 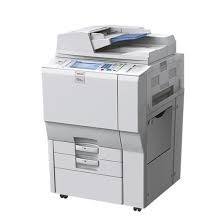 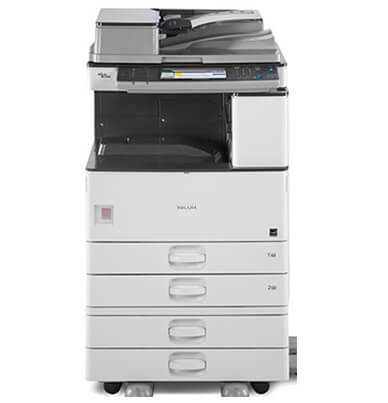 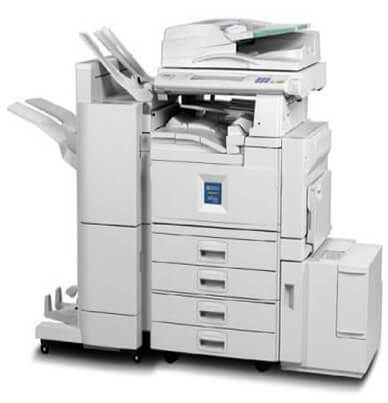 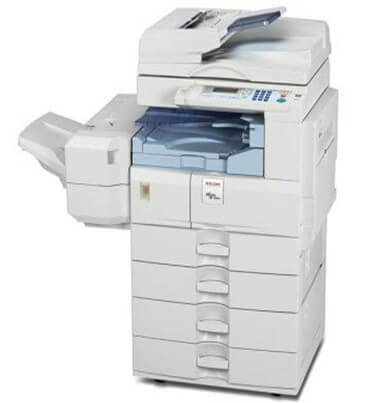 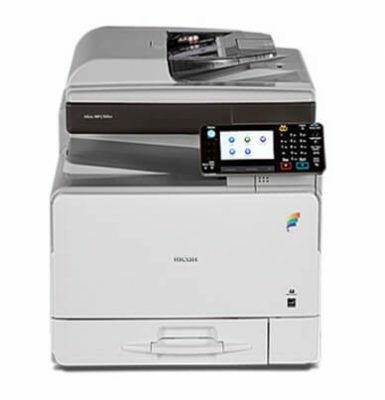 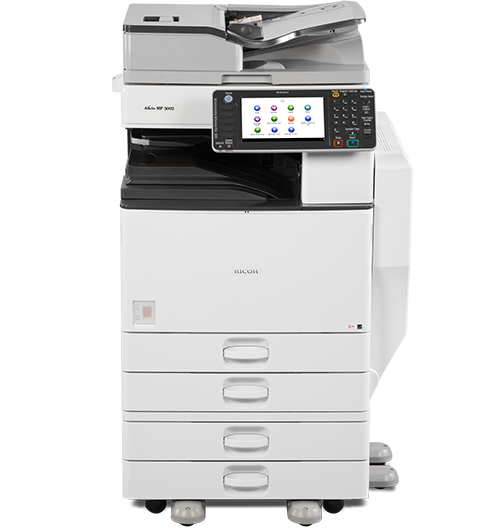 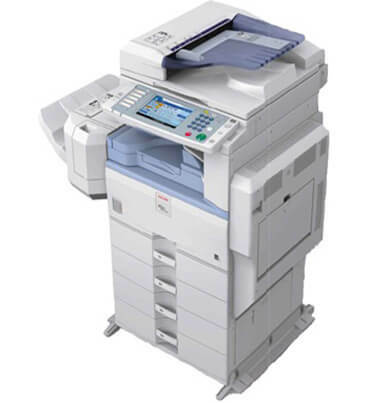 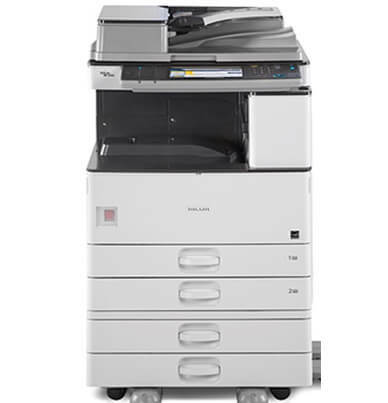 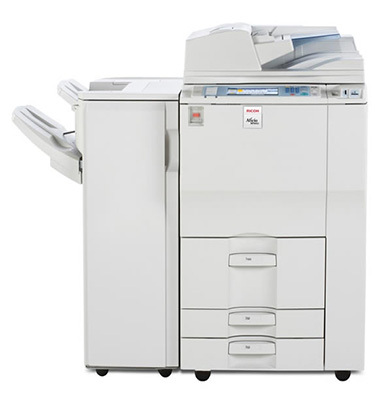 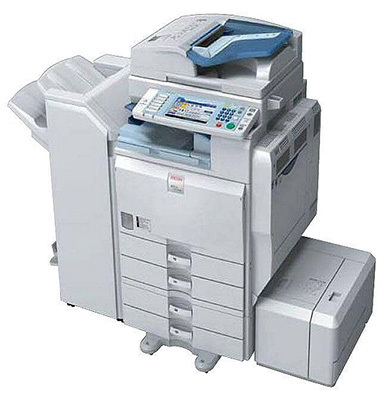 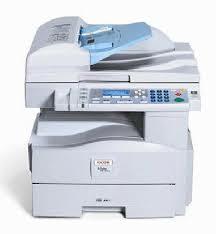 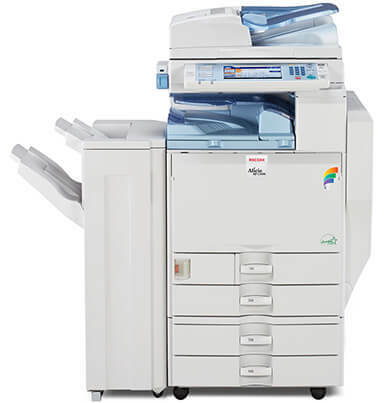 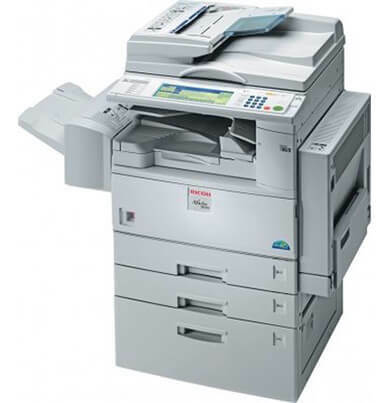 The Ricoh MP 5001 is a copier, scanner, and printer in one space-saving device. 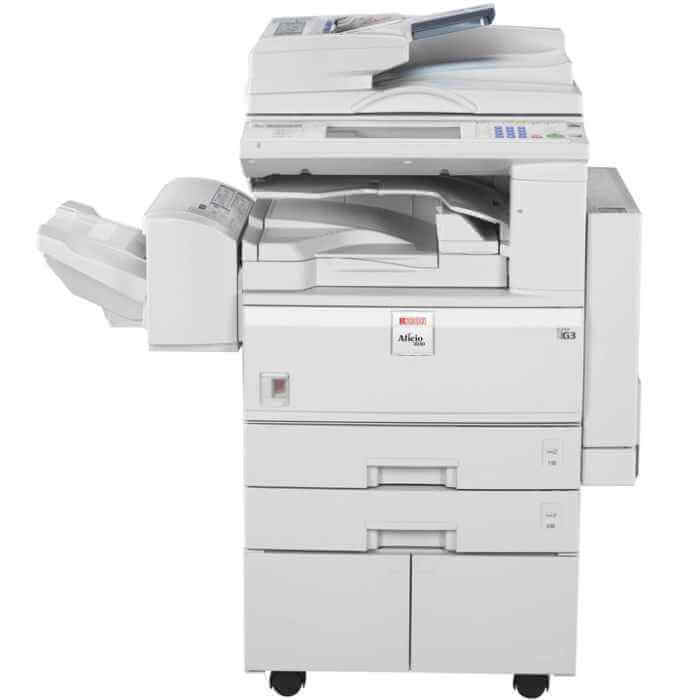 Offices need to look no further the AFICIO MP 5001 has the means to complete any job needed with its versatile paper handling. 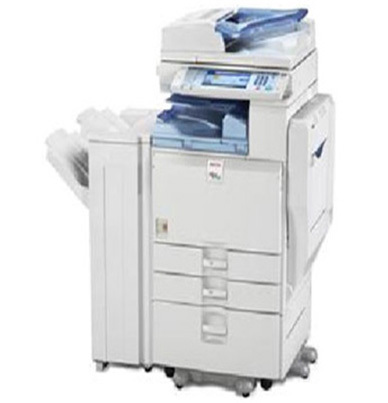 Start with the dual 550 sheet paper drawers and the 100 sheet bypass tray. 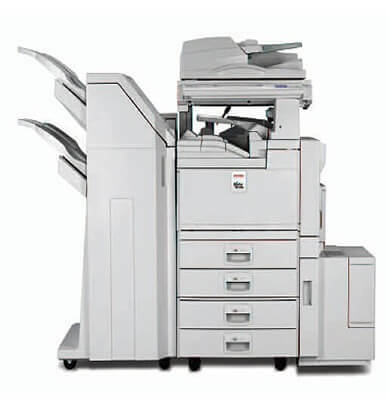 Additional large capacity paper trays and finishers will give the AFICIO MP 5001 the upper hand. 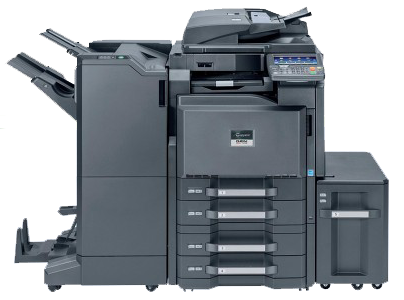 The genuine Ricoh AFICIO MP 5001 black toner cartridge (480-0397) has a robust yield of 30,000 pages at 5% page coverage. 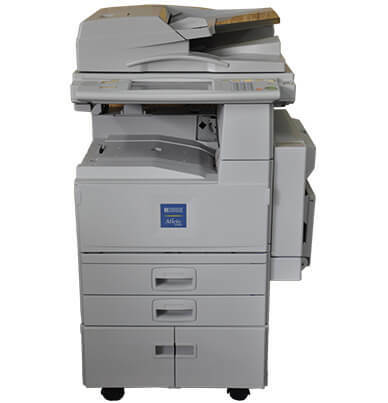 The user-friendly design of the AFICIO MP 5001 allows for fast and convenient toner replacing.